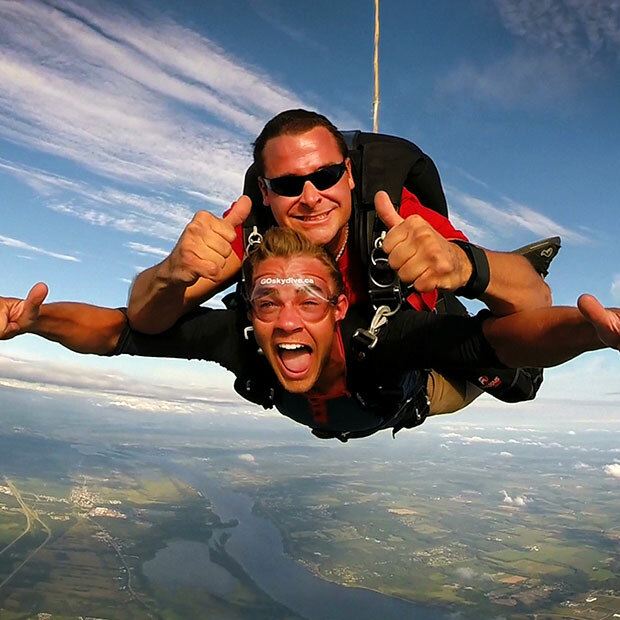 Located at the Gatineau–Ottawa Executive Airport, GO Skydive offers you an amazing experience! 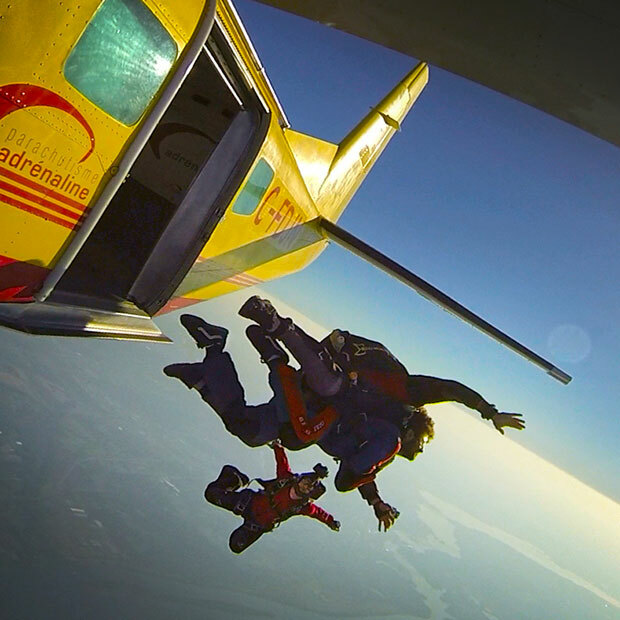 On your first tandem jump from 13,500 feet, you’ll freefall at more than 200 km/h for almost a minute. 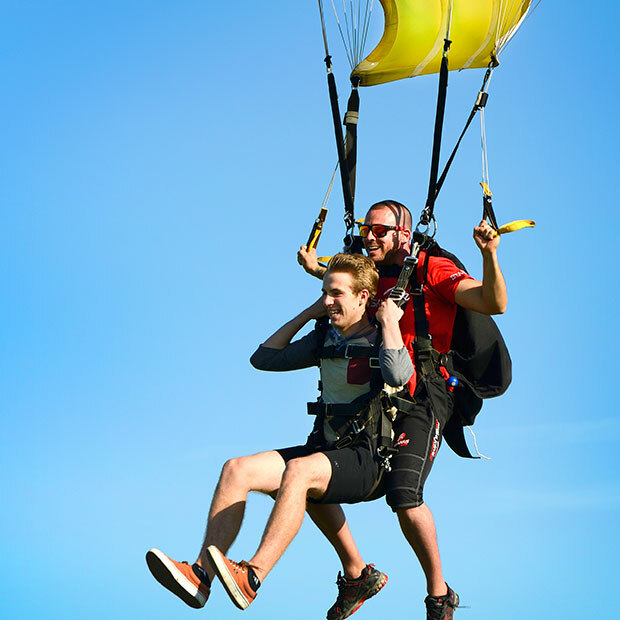 After this adrenaline burst, sit back under your parachute and enjoy a bird’s-eye view of the National Capital Region! Your experience will be tailored to your preferences. 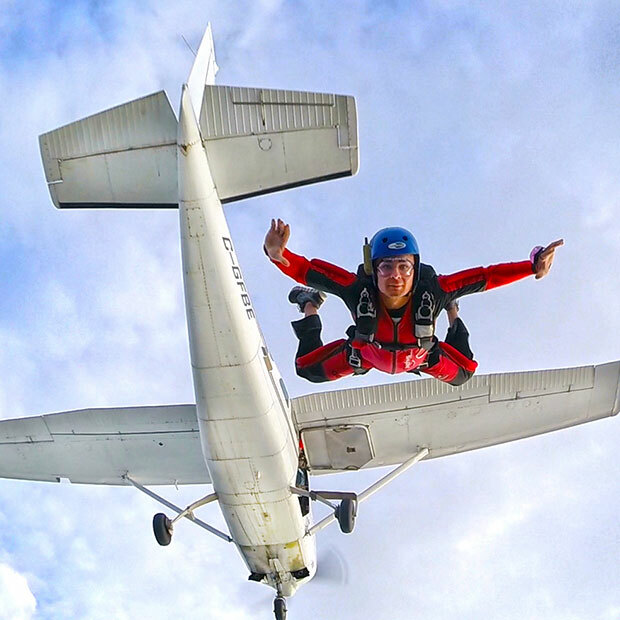 Whether you enjoy beautiful scenery or are always after the ultimate rush, the instructors will be happy to customize the experience for you! You want to do this ... You can do this!! Life begins at GO!